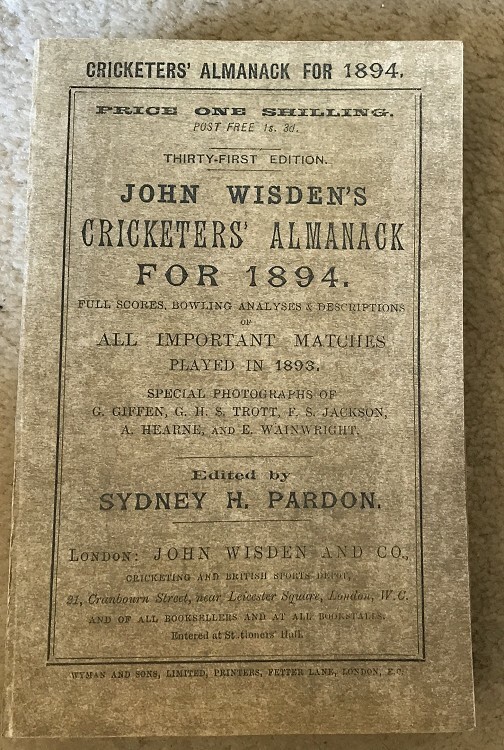 This lot is an 1894 Wisden Paperback with facsimile spine and Front Cover and one advert. The facsimile parts are expertly made, the front cover is beautiful and new, the original rear cover has a touch of wear and a light crease from top to bottom. Internally there is a touch of foxing to the odd page but not too bad for an 1894. Excellent photoplate just some spotting to the tissue paper. We are delighted with WisdenAuction hence this is our fifth run (from 1894 to 1942) that we are listing , hence many other years are available, please contact us if you want to know more about the other runs.